When making the decision to have LASIK, you want to gather all the information you can. After all it’s your eyesight, and you want to make the most informed decision possible! According to a 2016 survey of refractive practices administered by AllAboutVision.com, the price of refractive vision treatment has been fairly static for the past four years. This is true regardless of the vision treatment procedure it is important to note that there are significant differences between procedures. So what does this cover? At Restoration Eye Care, we charge one list price for your custom (using industry leading WaveScan technology) all-laser, blade-free iLASIK procedure. Our pre-operative screening is free (regardless of whether or not you have your procedure with us), so what this price covers is your procedure, as well as one year of comprehensive post-operative care. From this rate we often offer savings based on existing vision plans or partner with local businesses to offer savings to their employees. We will also advertise any special rewards that we might be running through our LASIK web page and our online mailing list. I’ve seen vision treatment procedures offered for as little as $399 on television, why is there such a difference? When gathering information about your LASIK procedure, you will come across practices advertising “bargain” LASIK. While these low rates are very well advertised, it is important to note that very few patients who visit these practices actually qualify for these advertised rates and instead pay, on national average, almost 400% of this advertised “bargain” price. What type of procedures does the surgeon perform? How many procedures do they perform per year? How long have they been performing these procedures? What costs can I expect pre-operatively? What costs can I expect post-operatively? Is the procedure Custom (i.e. do they use WaveScan technology)? Where will my post-operative care be performed? Who will perform my post-operative care? There may be other questions that you think of when talking to your vision treatment provider, but this is a good place to start. I have a vision insurance plan, does that cover this? Even though LASIK is considered an effective, permanent treatment for your vision, most insurances do not provide coverage for LASIK procedures. However, many vision insurance companies will often network with LASIK treatment providers, so you may receive a certain discount for your procedure. To find out if your vision plan qualifies you for additional savings, feel free to contact Layla by phone at (573)441-7070, or by email at Layla@RestorationEyeCare.com. How do I pay for my iLasik procedure? We understand this is an important part of the decision-making process, so we try to make this as convenient for you as possible. We accept Visa, Discover, and MasterCard credit cards, as well as payment by debit, check, or cash. You are also able to utilize your FSA or HSA to pay for Lasik. Many Lasik candidates chose to have their procedure at the end of the year so they are able to see how much of their Lasik procedure will be covered by their FSA or HSA. If you would like to finance your procedure, we are able to offer financing options through CareCredit. We offer long-term payment options, as well as several 0% interest options. 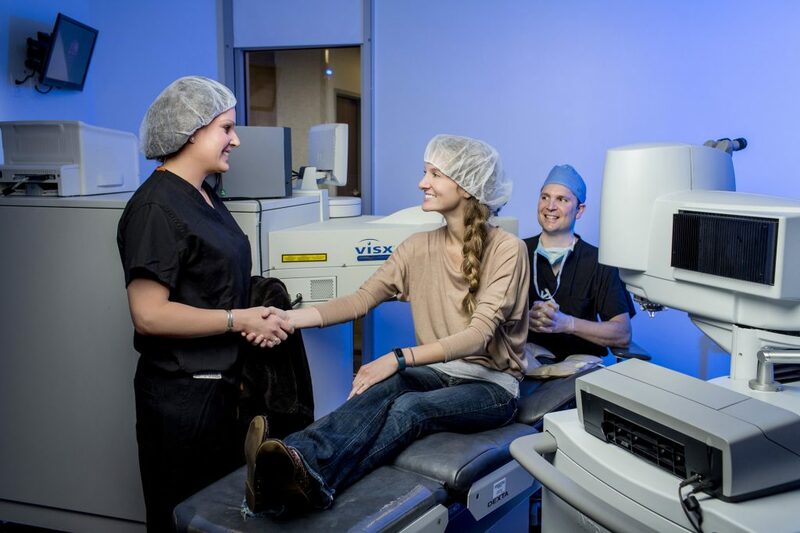 If you would like to schedule your free, convenient Lasik screening visit, please don’t wait to contact Layla by phone at (573)441-7070, or by email at Layla@RestorationEyeCare.com.